Part: Oil Cooler Kit 1.5n. 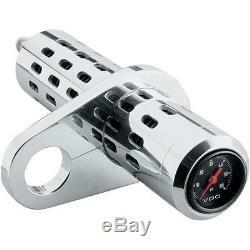 Frame Tubes w/Temp Gauge Chrome PRO-ONE 201100 Applications Product Description. Billet aluminum oil cooler is chrome plated and features cooling louvers in tube body Available with or without oil temperature gauge. The item "Oil Cooler Kit 1.5n. Frame Tubes withTemp Gauge Chrome PRO-ONE 201100" is in sale since Monday, May 15, 2017. This item is in the category "eBay Motors\Parts & Accessories\Motorcycle Parts\Engine Cooling\Oil Coolers". The seller is "jawzys" and is located in Hinckley, Ohio.